As an international organization, the Foundation is dedicated to providing the infrastructure and support for scientific research of international significance that must be carried out at an altitude of 3’000-3’700 meters above sea level or for which a high alpine climate and environment are necessary. 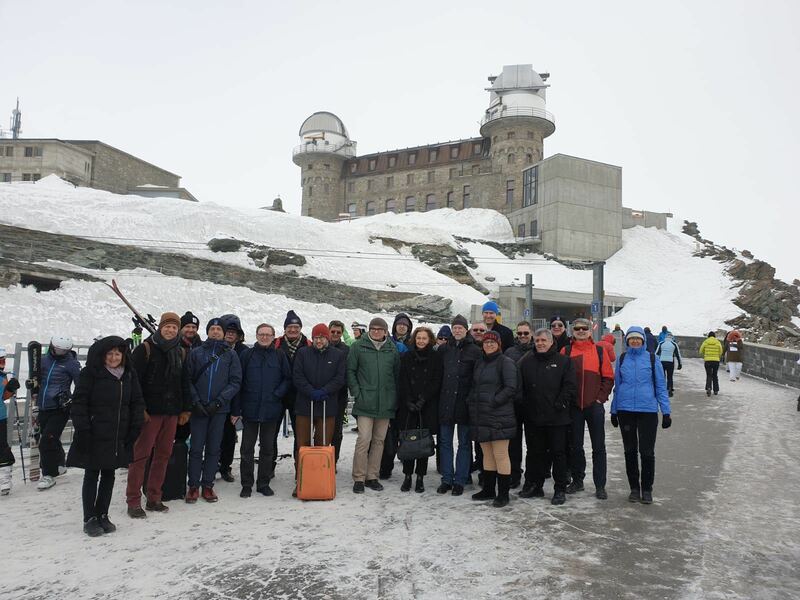 The Research Station, Sphinx Observatory at Jungfraujoch, and lab space in the former Swisscom relay station at the Jungfrau East Ridge, together with the two astronomical observatories, Gornergrat South and Gornergrat North, are run for this purpose. The Foundation provides the necessary infrastructure for scientific work for researchers from all over the world. No research is carried out by the Foundation itself. Scientists from universities, schools of technology, and research institutes of the member countries, and exceptionally from other countries, can carry out research in the laboratories and observatories provided by the Foundation. Administrative assistance and information are provided by the Foundation’s offices that are integrated in the University of Bern, Switzerland. Historical plaque at the Sphinx laboratory at Jungfraujoch.